Iconic music and film legend Grace Jones gives an in-depth account of her stellar career, professional and personal life, and the signature look that catapulted her into the stardom stratosphere. Grace Jones, a veritable "triple-threat” as acclaimed actress, singer, and model, has dominated the entertainment industry since her emergence as a model in New York City in 1968. Quickly discovered for her obvious talent and cutting-edge style, Grace signed her first record deal in 1977 and became one of the more unforgettable characters to emerge from the Studio 54 disco scene, releasing the all-time favorite hits, "Pull Up to the Bumper,” "Slave to the Rhythm,” and "I'm Not Perfect (But I'm Perfect for You).” And with her sexually charged, outrageous live shows in the New York City nightclub circuit, Grace soon earned the title of "Queen of the Gay Discos.” But with the dawn of the '80s came a massive anti-disco movement across the US, leading Grace to focus on experimental-based work and put her two-and-a-half-octave voice to good use. It was also around this time that she changed her look to suit the times with a detached, androgynous image. 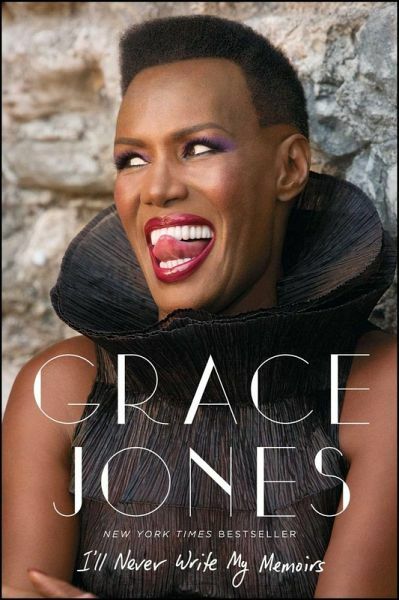 In this first-ever memoir, Grace gives an exclusive look into the transformation to her signature style and discusses how she expanded her musical triumph to success in the acting world, beginning in the 1984 fantasy-action film Conan the Destroyer alongside Arnold Schwarzenegger, then the James Bond movie A View to a Kill, and later in Eddie Murphy's Boomerang. Featuring sixteen pages of stunning full-color photographs, Miss Grace Jones takes us on a journey from Grace's religious upbringing in Jamaica to her heyday in Paris and New York in the '70s and '80s, all the way to present-day London, in what promises to be a no holds barred tell-all for the ages.